Jenna Vendil was living with her single mother and older sister when they were evicted from their home during her senior year of high school in Daly City, Calif.
She didn’t even know whether she would graduate. But with a dream of helping others and the support of teachers and social workers, Vendil earned her diploma from Westmoor High School, landed a full scholarship to Bates College in Lewiston, and headed east to a whole new world. The move would suit Vendil well — at age 26, she has made her mark in the Portland area and beyond through her political advocacy, inspiring leadership and determination. 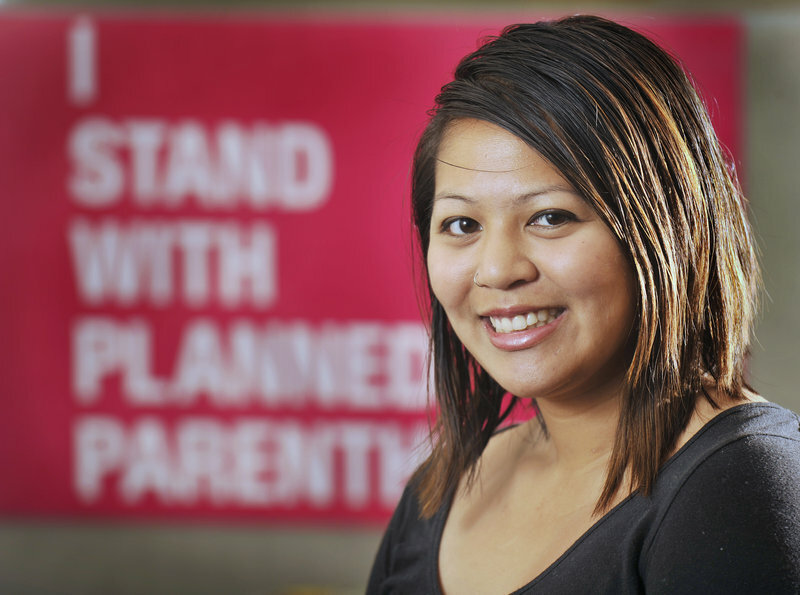 A grassroots organizer for Planned Parenthood of New England and the District 1 representative on the Portland School Committee, Vendil strives to empower young people to make a difference in the world. These are some of the reasons she has been honored with a MaineToday Media Forty Under 40 award as an emerging young leader in Maine. Vendil said she has always worked hard; according to Cookson, Vendil also does all the legwork in between the bigger events. “Growing up, I always felt that I wanted to do work in service to others,” Vendil said. A political science and American culture studies double major at Bates, Vendil participated in student rallies, and was a political organizer and tutor. During college, she worked with the Maine People’s Alliance as a canvasser, where she learned how to manage and staff events. She said a defining experience from her college days was when the alliance and students worked to defeat a proposal by the mayor of Lewiston to build a boulevard that would have displaced many residents of a downtown low-income neighborhood. Alec Naybarduk, an activist and friend of Vendil’s, said it was hard as a student activist to have anyone show up at rallies, but sure enough, Vendil came with him to City Hall. Vendil credits him for helping her find her passion for citizen advocacy. This didn’t change when Vendil became the first member of her family to graduate from college. In 2009, she was elected to Portland’s school board. She said she wanted to bring a young voice and transparency to the board, and to advocate for public education. “I have always been concerned with public education because it was such a difference-maker in my life,” Vendil said. More recently, Vendil has been working as an organizer for Planned Parenthood of Northern New England, helping organize rallies with community members and clergy and working to influence policies that involve women’s health and reproductive rights, such as access to abortion. Vendil was recently invited to a reception with President Barack Obama as part of a national program called the Young Elected Officials Network, run by People for the American Way, a progressive advocacy group that helps young leaders in their communities. She works roughly 15 hours a day between her two positions and is training for a half marathon in the fall. She loves reading and reflecting in her journal, and tries to spend as much time with her family and friends as possible. Vendil said she tries to rein herself in on weekends, but finds it difficult to avoid working on the issues important to her.